Korean-American lyric soprano Jee Hyun Lim has gained international renown for her portrayal of the operatic heroines of Giacomo Puccini. Her interpretation of the title role of MADAMA BUTTERFLY has been seen and heard on the stages of four continents, including London’s Royal Albert Hall in David Freeman’s award-winning production, Lyric Opera Productions in Dublin, with New York City Opera for the 2005 season opening and on the company’s tour to Tokyo and Nagoya, Syracuse Opera, Chautauqua Opera, San Antonio Opera, Austin Lyric Opera, Nashville Opera, Indianapolis Opera, Teatro Municipal de Santiago (Chile), and the National Theatre of Croatia in Zagreb. She has appeared as Mimì LA BOHÈME with Lyric Opera of Chicago, Seattle Opera, Minnesota Opera, Lyric Opera of Kansas City, Atlanta Opera, Tulsa Opera, Kentucky Opera, Lyric Opera Productions (Dublin), and Vest Norges Opera in Bergen, Norway. As Liù TURANDOT, Ms. Lim has performed with Portland Opera (Oregon), Opera Carolina, Orlando Opera, and in Vittorio Rossi’s internationally acclaimed production in Montréal’s Olympic Stadium. Equally admired as a Mozartean, Ms. Lim made her role debut as Donna Elvira DON GIOVANNI at the Seoul Arts Center and her role debut as the Contessa LE NOZZE DI FIGARO with Indianapolis Opera, soon afterward reprising the role with Michigan Opera Theatre. As Pamina DIE ZAUBERFLÖTE she has performed at the Sejong Center for the Performing Arts (Seoul), Cincinnati Opera, New Orleans Opera, Tulsa Opera, Austin Lyric Opera, and Virginia Opera. She has also performed Susanna LE NOZZE DI FIGARO with Tulsa Opera, Michigan Opera Theatre, and Vancouver Opera, and Zerlina DON GIOVANNI with the Minnesota Orchestra, Opera Pacific, and Portland Opera. 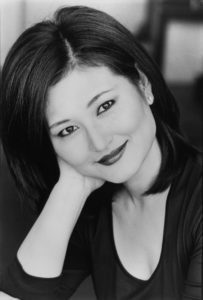 In the French repertoire, Ms. Lim has performed Antonia LES CONTES D’HOFFMANN at the Spoleto Festival USA, MIcaëla CARMEN with Vest Norges Opera and in the Earl’s Court production in Birmingham, England, Léïla LES PÊCHEURS DE PERLES with Opera Boston, Marguerite FAUST with Austin Lyric Opera, Blanche DIALOGUES DES CARMÉLITES with Tulsa Opera, and Dardane LES PÈLERINS DE LA MECQUE (Gluck) with Opéra Français de New York (OFNY). An early highlight of Ms. Lim’s operatic career was being expressly chosen by Maestro Gian Carlo Menotti to create the leading role of his comic opera GIORNO DI NOZZE for the opera’s world premiere at the 1988 Olympic Games in Seoul. Further roles include Nedda PAGLIACCI for Syracuse Opera and Austin Lyric Opera, Ann Trulove THE RAKE’S PROGRESS with New Jersey Opera Festival, and Lady Tiang THE KING AND I, which she debuted at London’s Royal Albert Hall with the Royal Philharmonic Concert Orchestra and then reprised at Atlanta’s Fox Theatre and Wolf Trap Opera. An accomplished concert artist, Ms. Lim has the distinction of performing Messiah at Lincoln Center eleven times. She has appeared in concert and oratorio performances in New York, Chicago, Atlanta, Virginia, New Hampshire and Seoul. Miss Lim was educated at the Seoul National University, the Juilliard School, and the Juilliard Opera Centre and was the winner of the Sullivan Award and the Artist of the Year by Syracuse Opera.